Rearrange a grid of letters to form as many words as possible, like a word search in reverse! 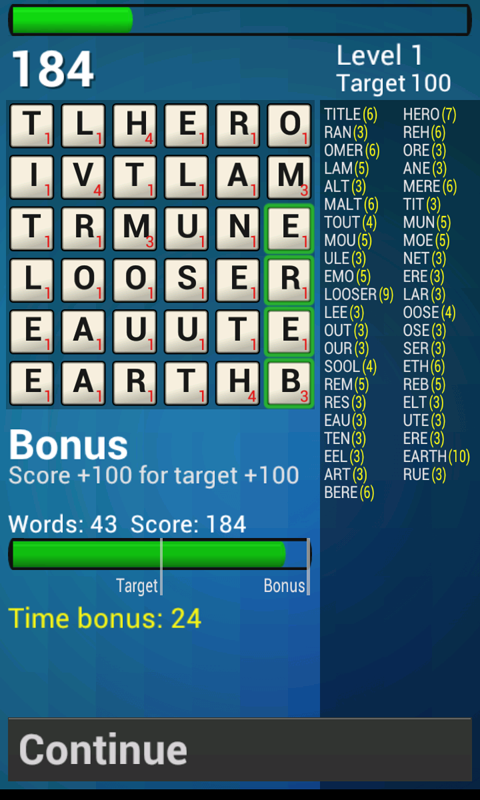 Game play twists such as static letters, double word score and chasing various bonus awards keep things interesting. Professional word lists, US and UK spelling. In Word Square you must rearrange a grid of letters to form as many words as possible. Don't worry about adjacent letters not making a word. Its like a word search in reverse! When your time runs out, or you submit the grid early, the words in the grid are found and their scores added up. If your grid score is better than the level target, then you progress to the next level. On the next level, the target will be higher and the time slightly shorter! 5 letter words score a bonus. 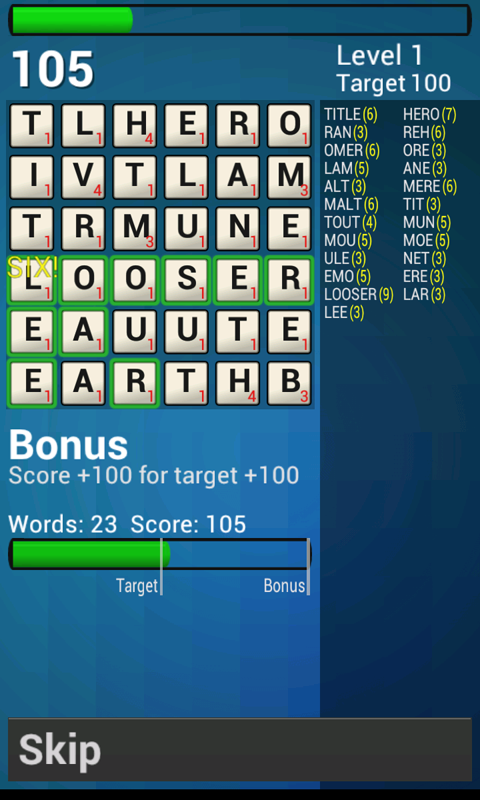 6 letter words score abigger bonus! 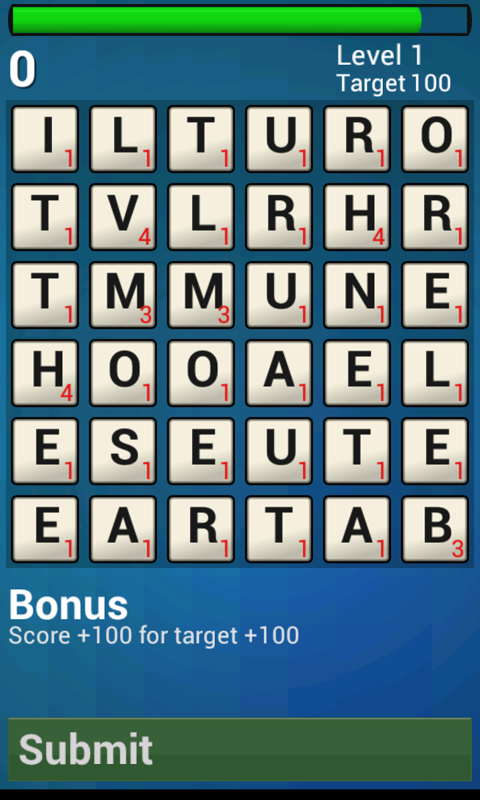 If the word is formed with a immovable tile, its also given a bonus. If the word is formed with a double tile, its worth twice as much again. Also, a time bonus is added at the end of a level for quick times. Each level you have the chance to earn a bonus by beating the level target score by over a given amount. The amount and bonus type are shown under the grid. Score. An amount is added to your score. Time. Extra time is added to your timer. Target freeze. The target will not increase when starting the next level.